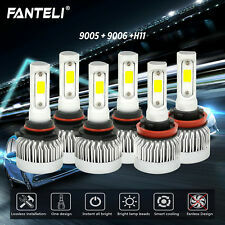 2005-2007 FORD FIVE HUNDRED (500) - HALOGEN. REMOVED FROM A 2005 FORD FIVE HUNDRED (500). THIS HEADLIGHT IS IN OVERALL EXCELLENT USED CONDITION, AND ALL FUNCTIONS WORK AS INTENDED. BE AWARE THAT SALE PRICES ARE NOT PERMANENT AND WILL EXPIRE. BroView Headlight, We Focus & Pro. Product Feature: BroView V SeriesV8 (w/ Fan). Interchange Part Number: 9006,HB4,9012,9006XS. Application: Headlamp Low Beam. ·Beam angle: 360°. ·LED type: 4- CREE-XHP50 (High Power) Chip. 2005 2006 2007 Ford Five Hundred 500. Our hours of operation are Visually compare the part you are replacing with our pictures above. 1 year limited warranty. Trending at $166.25eBay determines this price through a machine learned model of the product's sale prices within the last 90 days. Interchange Part Number: 9006 HB4 9012 9006XS. 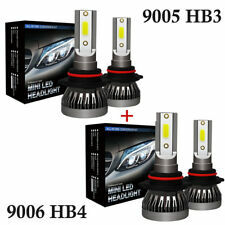 9006 Headlight Low BeamFIVE COLOR all in one Conversion kit. 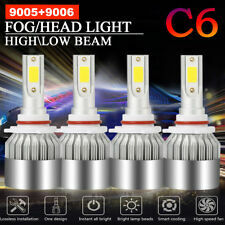 Application: Headlight Low Beam. Beam Angle: 360°. Maximized 360° beam angle, enhance 30% of effective range compared to halogen lamp. Replaces oe number : 6G1Z13008B. "Dorman Headlight --. Qualified by Dorman’s strenuous testing procedures. Notes Location : Driver Side. Location : Left. Condition : New. Therefore all implied warranties that may apply to your part are limited to the duration of this written warranty. Ford Five Hundred Headlamp Assembly. "Dorman Headlight --. (1) 1591144 Headlight - Passenger Side. (1) 1591143 Headlight - Driver Side. Notes : Kit components - 2 Headlights, 2 Tail Lights; Does not include installation hardware; Headlight - Without wiring harness; Plastic lens; 4-bulb quantity each; Plastic housing, Tail Light - Plastic housing; Plastic lens; 2-bulb quantity each. All items are in good condition and functioned properly when pulled from the vehicle. We will do our best to photograph and describe any damages. While all items are in great condition, still expect some minor blemishes/scratches on used items. Please verify part compatibility/fitment for your vehicle via your mechanic or dealer using the part number shown before bidding or purchasing this item. Thank you. IT ONLY APPLIES TO THE LIGHT ASSEMBLY. 2005-2007 Ford Five Hundred. -Halogen Only. Front Right; Passenger Side. Condition: New Other. Inventory ID: 29678. 2005 2006 2007 Ford Five Hundred right passenger halogen headlight. BARE ASSEMBLY WITH NORMAL WEAR (CRAZE). (NO REMOVABLE PARTS: BULBS, BRACKETS.). 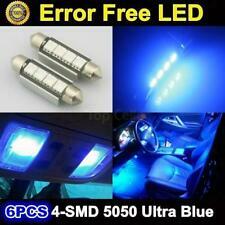 FIVE HUNDRED 05-07 (halogen), L. This part fits these vehicles as long as the notes are followed. All parts you see in the vehicle pics are for sale. Keep in mind that the pictures were taken when we received the vehicle, so the part you need could be sold already. 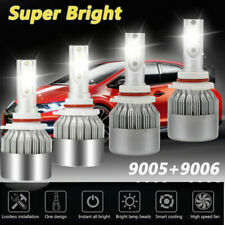 Also fits the following models:FIVE HUNDRED 2005 -2007 (halogen), L. Model: FIVE HUNDRED. (halogen), L. Interchange Information. 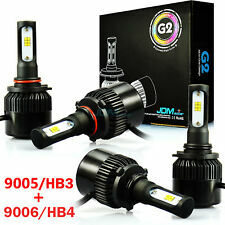 Application: Headlight Low Beam/Headlamp Low Beam. Beam Angle: 360°. Maximized 360° beam angle, enhance 30% of effective range compared to halogen lamp. LED Type: 2-Luxeon-MZ High Power LED. LED Chip: high power LED chip. Genuine OEM Ford Part! 20+ Years in Business! 2005 2006 2007 Ford Five Hundred. We will respond in the order which your inquiry was received. Our hours of operation are 1 year limited warranty. 2005-2008 FORD FIVE HUNDRED RIGHT PASSENGER HALOGEN HEADLIGHT OEM. 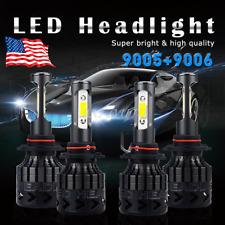 Headlight is ingood used conditions. We are human and make mistakes too. All mounting tabs firmly intact. We are the real deal. - if you want a 12-month warranty. - if you want to be sure you're getting the right part. You've Made the Right Choice. What We've Got. Product Type: Driver Side Headlight Assembly. Assembly Type: Assembly. You may need to recover them from your existing light assembly. com in order to receive updates regarding your order. Processing Details. FORD 500 FIVE HUNDRED (SEDAN) 05-07 (halogen), LH. Light Bulb Debris Under Lens. Moderate Stress Throughout. Model: FORD 500. Part Grade Abbreviations. cc = Credit Card size units. C = Greater than 200k miles. 2005 2006 2007 05 06 07 FORD FIVE HUNDRED 500. Light Bulb Included. Parts must be unused, unaltered, and in a saleable condition. General Policies.